It’s frustrating to bring up important topics with your senior, like how she’s feeling about driving, and have her shut the conversation down or switch the topic on you. That might make you wonder just what’s going on behind the scenes. Your worries are about your senior’s safety. You might also be worried that you’re not respecting your elderly family member by talking to her about her driving. When it gets to the point that you need to ask her for her keys, you might even feel worse. Your senior’s priorities and concerns, on the other hand, might be a lot different. 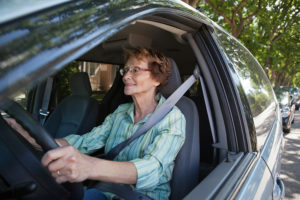 Your senior may be of the mindset that she can drive just fine and doesn’t need you worrying about anything. This perception might not be as accurate as she’d like, though. One way you can compromise about this is to set up a driving evaluation with a neutral third party. That way your senior gets constructive feedback from someone who is an expert at exactly this. It’s also possible that your elderly family member knows fully that her driving is not excellent of late. She may be hiding the fact that she’s had multiple little accidents or even tickets from local law enforcement officials. You might be able to figure this out by paying close attention to the car itself and any new scratches and dings it acquires. If you help with bills, you might want to take a peek at the insurance bill. If it’s going up inexplicably, driving habits might be why. Much of why your senior might be having some of these reactions can trace back to fear. It’s incredibly frightening to feel that you might suddenly be stranded with no transportation. Your senior might also feel as if she’s no longer able to be as independent as she wants to be, and that can be a dis-empowering feeling. 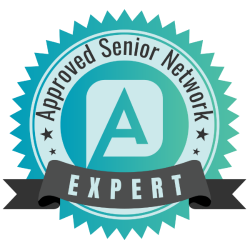 You may find it helpful to reassure your senior that she won’t be stranded or forgotten and that there are answers to this problem. Talk to your elderly family member as much as you can about possible solutions to the driving problem. One that she might not have considered is hiring elderly care providers. They can help her to get where she needs to go, without her worrying about the driving.